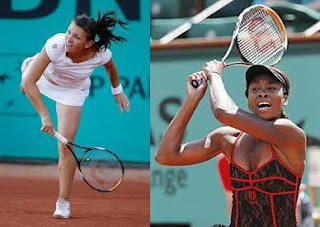 In the on going second round matches of the WTA Rome, 48th ranked Romanian right handed Simona Halep meets 63 ranked American Venus Williams Tuesday morning at Rome. Halep and Williams have had only one encounter recently at Madrid, in which Williams beat Halep in well cntested match 6-1 4-6 7-6(6). The track record of both players during 2012 is around 60-70% as Williams has won seven of the ten matches, while Halep has won six of ten matches. Williams lost to Germen Kerber at Madrid 4-6, 1-6, while Halep lost to Venus Williams in the first round at Madrid as mentioned above. So meeting again may mean a challenge for Halep and win over a lower ranking player, who otherwse beat her recently.